A grandmother and grandson visited Orlando and Disney World’s Animal Kingdom last weekend. They boarded the Dinosaur ride and were hunting for a couple of thrills. However, what they found was not what they expected – a load gun on the seat near them. The owner of the Cobra .380 caliber pistol quickly claimed his firearm. The man from Florida told security at the park that he had the weapon in his pocket and it must have fallen out while he was on the ride. Angelo Lista, a resident of Royal Palm Beach, who has a valid concealed weapons permit, was quickly escorted from the theme park. 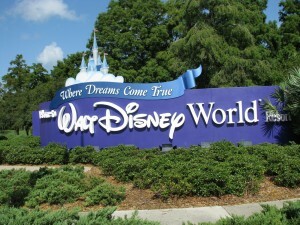 Disney World has a policy that does not allow park visitors to carry guns onto park property. Most major theme parks do not allow guns on their property. In Florida, like some other states, it is legal to carry firearms in theme parks, but theme parks that are privately owned can have policies that restrict possession of firearms inside the park. These instances serve as a way to highlight how come after the 9/11 incident Disney World, which receives nearly 50 million visitors annually making it the most visited theme park in the world, does not have better security. Theme park visits in most of Orlando do not pass through metal detectors and will only be stopped if carrying a bag. Parks are very sensitive to the park goers first experience and do not want visitors to feel uncomfortable going through metal detectors or being patted down. That said, one consultant said it would destroy an illusion of safety that the park is going for if more security was added. However, things could change. The gun was not the only black-eye Disney suffered this week. Mickey’s Toontown, the section of Disneyland that is most kid friendly, was evacuated after a dry ice bomb exploded inside a trash bin. Police later arrested and charged an employee.